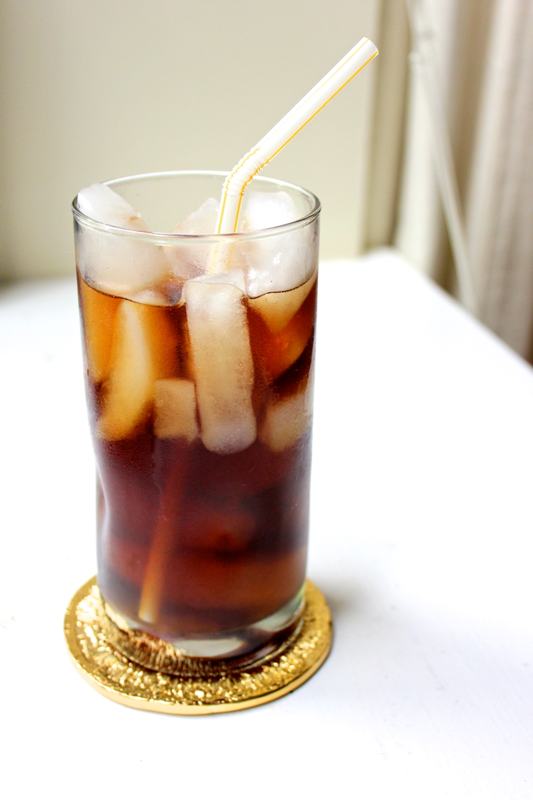 I’ve shared my method for cold-brewing iced coffee with you before, but let’s do it again, this time with better pictures and better coffee! My sister brought back a bag of delicious, sense-tickling coffee beans from Costa Rica. Their powerful smell perfumes the air, begging us to indulge. In order to combat DC’s oppressive heatwave, I’ve been grinding these coffee beans before bed, brewing them overnight, and pouring the dark elixir over ice to keep my spirits high during my morning jaunt to work. 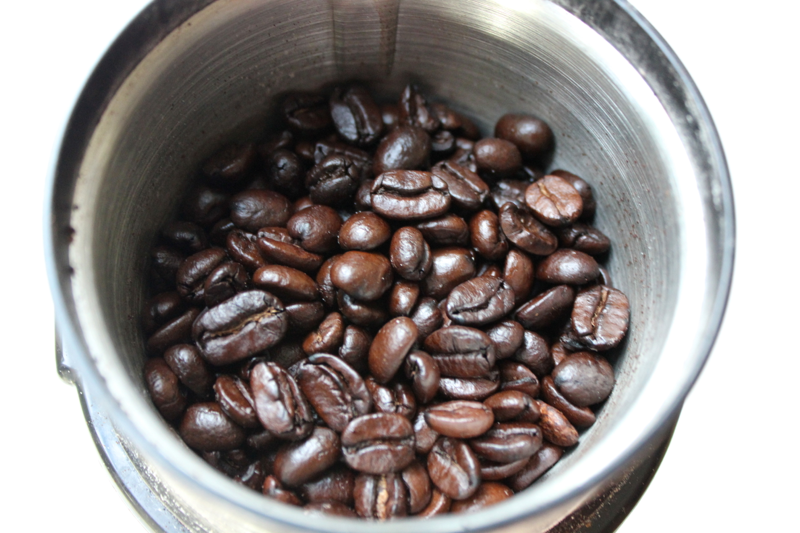 To make 4 servings of iced coffee, find your favorite coffee beans, and grind 1 cup of them in a coffee grinder. 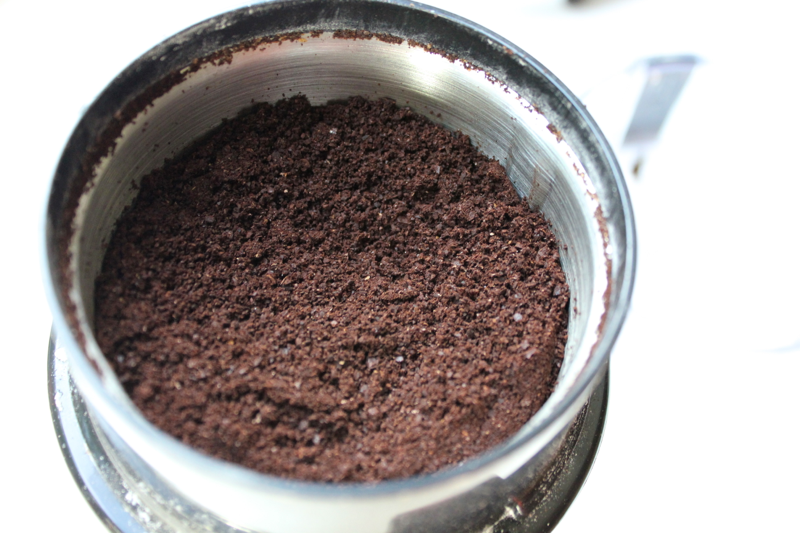 If you’re making this coffee from pre-ground beans, use about 2/3 cup of coffee grounds. Once the beans have been pulverized into a coarse powder, inhale that fresh coffee aroma. Then, transfer the coffee grounds to a french press (my preferred vessel) or another kind of jar or container. Add approximately 3 cups of cold water, and stir or shake to submerge the coffee grounds. Leave the container at room temperature overnight. In the morning, press the plunger on your french press, or, if you are using a different type of container, pour the iced coffee through a strainer to filter out the coffee grounds. Fill a glass with ice, pour over the coffee (add milk or sugar to taste) and then enjoy! 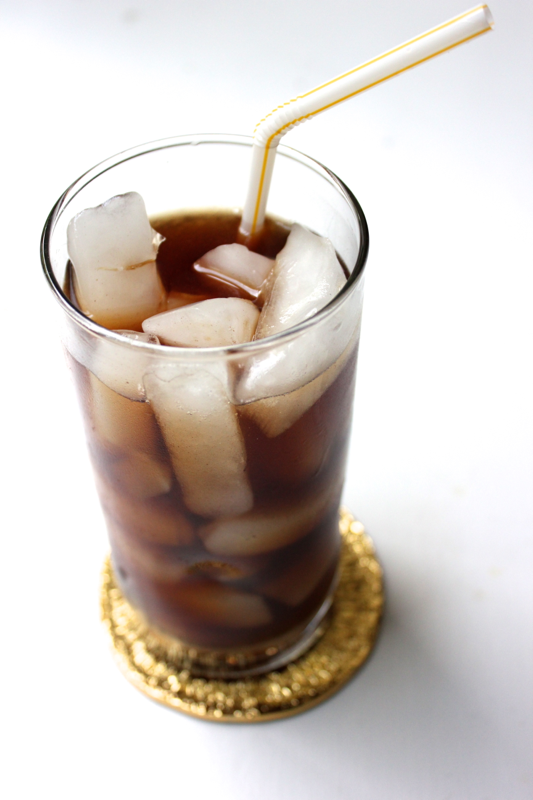 I hope this iced coffee fortifies you against the summer heat! Need one with 2 sugars and a splash of milk right now! Sounds refreshing. I think because regular brewed coffee would be diluted by the ice and this is a stronger brew. Yes, this method makes a more concentrated coffee. 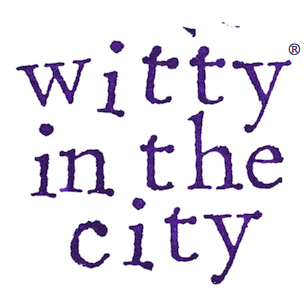 It also has a mellower flavor that lacks the acid high note that hot-brewed coffees frequently have. I LOVE IT! This looks delicious and refreshing. I wish I had a cup right know. Not really a fan of iced coffee. Drink it hot all year.